Jain Kumar has recently acted in a movie Kung Fu Yoga with Hollywood Star Jackie Chan, Indian Bollywood Star Sonu Sood and Indian Bollywood Actress Disha Patani. See the Image from my facebook page. Graphite Pencil on Thick Drawing Sheet. This Pencil Portrait was asked to draw by my friend from Jhalamand, Jodhpur, Rajasthan. I was provided with this reference picture. Started from nose. Then goggles and forehead. Then the whole face. To get the reflections in the goggles I shaded whole goggle in the beginning and erased few areas. Used fingers to spread the graphite. Did the same thing for hair also. 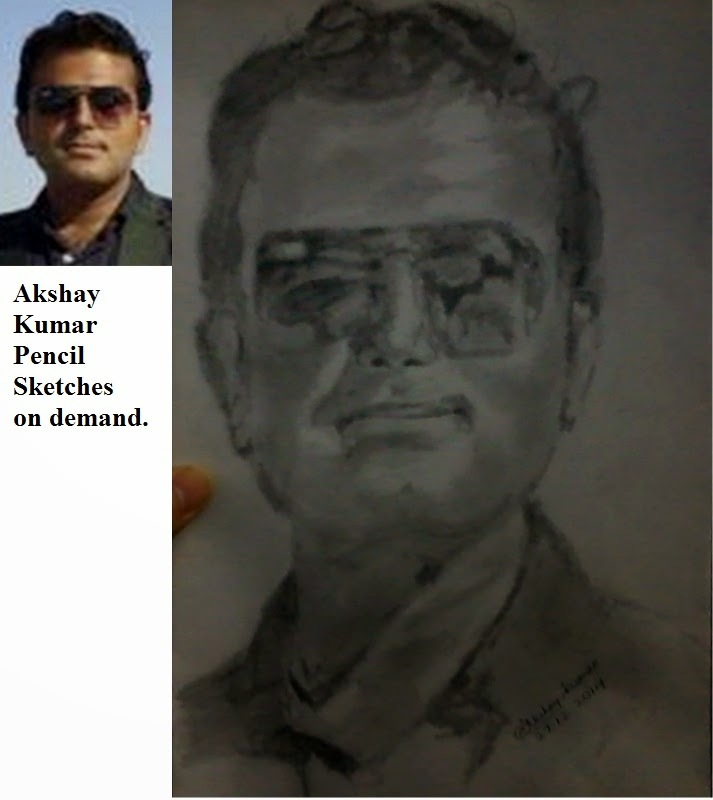 If you want Akshay Kumar to draw for you. Don't hesitate to contact.